View basket “Stein Top Mounting Strap” has been added to your basket. Purchase this product now and earn 645 Reward Points! 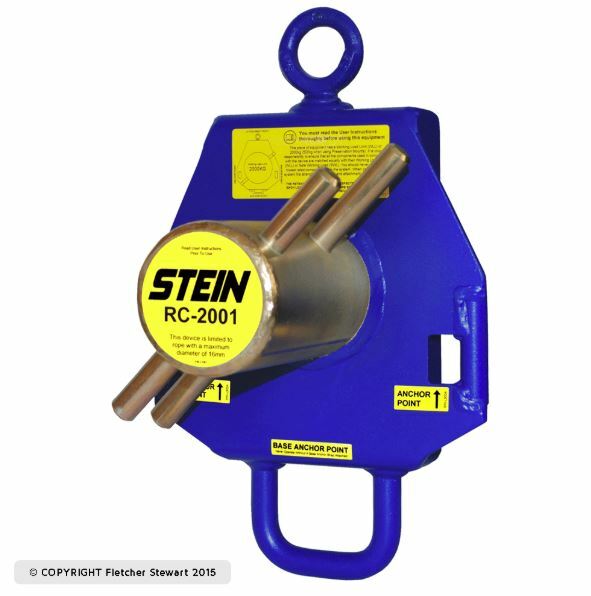 Building on the success of the RCW-3001 we have now re-introduced the STEIN DUAL. 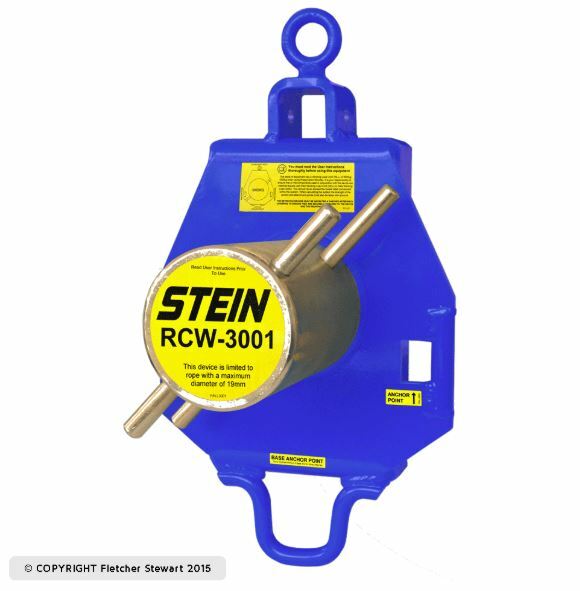 The RCW-3002 has now been re-engineered to take the RCWINCH System. The DUAL is a power-house of lowering devices, the large diameter drums easily accommodates working lines up to 19 mm and has a working load limit of up to 6614 lbs / 3000 kg (combined subject to mounting type). 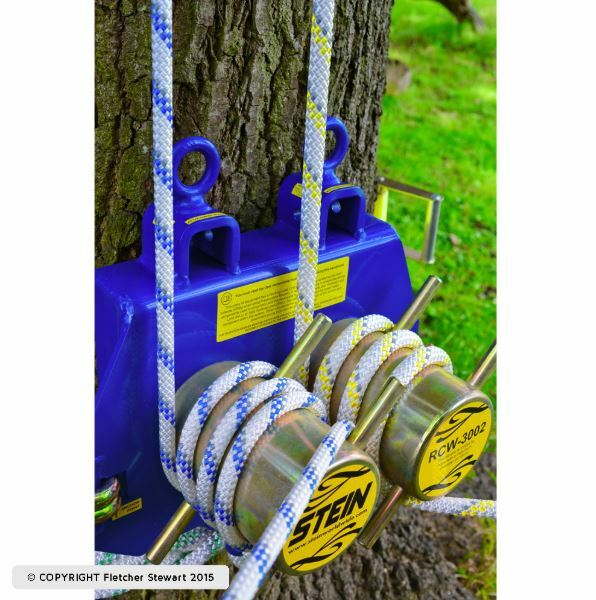 The drums have two sets of rope guides (fair-leads) specially angled at 45-degrees which allows the operator to quickly add or subtract wraps. 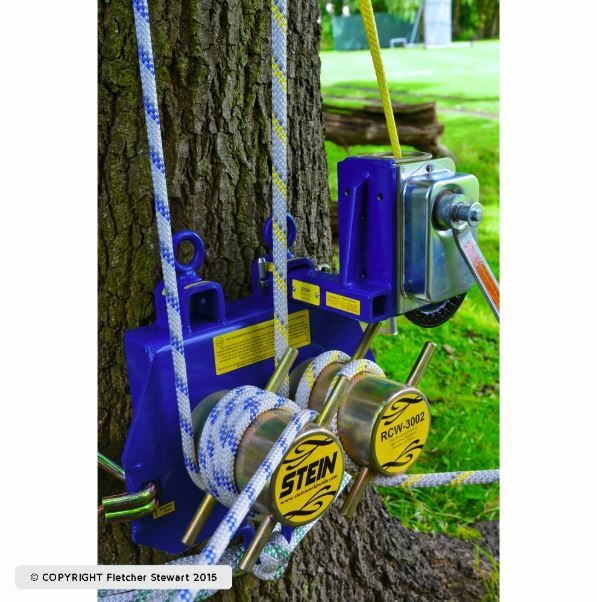 Although weighing in excess of 56lbs / 26kg excluding the winch and mounting straps it can be easily mounted by one person by utilizing the top attachment point as a suspension point and simply attaching the winch in seconds once the device is mounted. Not all rigging jobs require the facility of lifting capability! 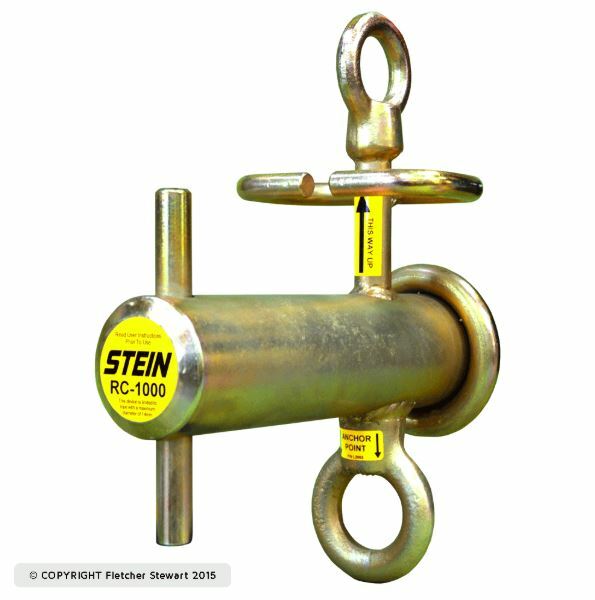 This simple option now allows the operator to use the bollards independently of the winch and should a lifting process be required the winch can be attached within seconds with no tools required. The RCWINCH can also be integrated into the system during a lowering procedure should it be required. 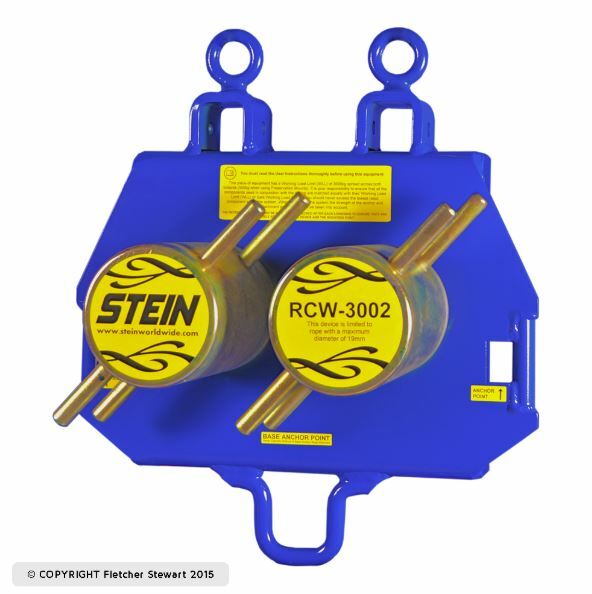 The RCW-3002 is probably the most user friendly and flexible Winching Bollard on the market to date.